The email goes on, but my heart skips a beat. I can’t believe my eyes. My wife doesn’t believe me when I show her the email. I myself don’t believe I’m showing her an email like that. …and yet, here I find myself, a scant three weeks later, on my way to do media coverage for the PokerStars Caribbean Adventure for PokerUpdate.com. Everyone in the poker world has their own timeline. 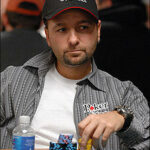 This has been mine: I’ve been playing poker since I was eight years old. I’ve been watching poker on TV since I was 21. 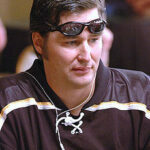 I’ve been blogging about poker on this site since I was 28. Since entering my 30s, I’ve written for some of the biggest online poker media sites, co-created a poker note-taking app, started co-hosting a poker podcast, and started presenting poker videos and Web shows on camera. 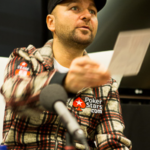 I’ve published interviews with four WSOP Main Event Champions and have even had the honor of interviewing Daniel Negreanu and Phil Ivey. Despite all that, at 34 years old, I’ve met a grand total of three professional poker players in person and I’ve never actually attended a single professional poker event. Somehow, all of that sort of makes sense. After all, one can hardly expect to travel around the world on the poker circuit and truly live a “cardplayer lifestyle” as a married father of three living in Israel. Incredibly, some PokerStars representatives have decided that they want to meet me in person. “Beyond flattered and humbled” doesn’t begin to describe how I feel about that. There’s no such thing in this world as “deserving”, but I feel more fortunate than I know how to express in words. I truly never thought that the minor leaguer typing these words would ever “get called up to the big leagues”, but fate and good grace seem to have dealt me a winning hand. 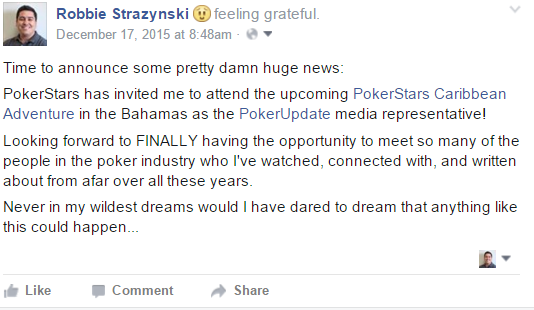 Once I land in the Bahamas, my perspective on poker will by definition never be the same. Suddenly, everything I know about the poker world moves from the realm of virtual to actual. People about whom I’ve written tomes instantly transition from names on my screen – from social media friends and acquaintances – into real, living, breathing human beings. I will lay eyes on them for the first time. I will shake their hands. I will interview some of them. From this day forward, there’s no turning back the clock; no more “remaining anonymous”. Opportunities like these knock on your door once in a lifetime. On the one hand this represents a watershed moment; the pinnacle of my poker achievement. On the other hand, it also represents the potential start of a brand new chapter in my poker life. You can bet your life that I’m going to make the most of it. You’re very kind. Thank you, Robert. This line changed your life forever. 🙂 We will see… maybe WSOP?